Flat Rock Metal has upgraded its multi-blank capabilities by going down to a slit blank width of 7.0” from the current 8.5” and has added the capability of producing 6 mults from the current 5 mults. These capabilities now provide a broader capability for the cost effective production of small to mid-size rectangular blanks utilizing the multi-blank or Slear process. 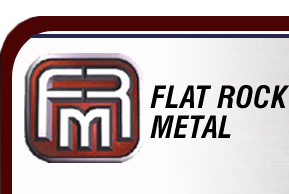 The length capability of Flat Rock’s line stays the same width a minimum length of approximately 15.0” and a maximum length of 144.0”. This upgrade required modification to each of the slitting heads as well as the installation of additional dividers in the stacking system. This upgrade was conducted during the Holiday break to minimize impact on production. The production of 6 mults improves the productivity of the process by allowing 6 blanks per hit versus 5 and also allows the use of wider coils, potentially reducing steel / size extra costs. This new capability, combined with its rotary shear continues to make this processing line one of the most productive in the industry.